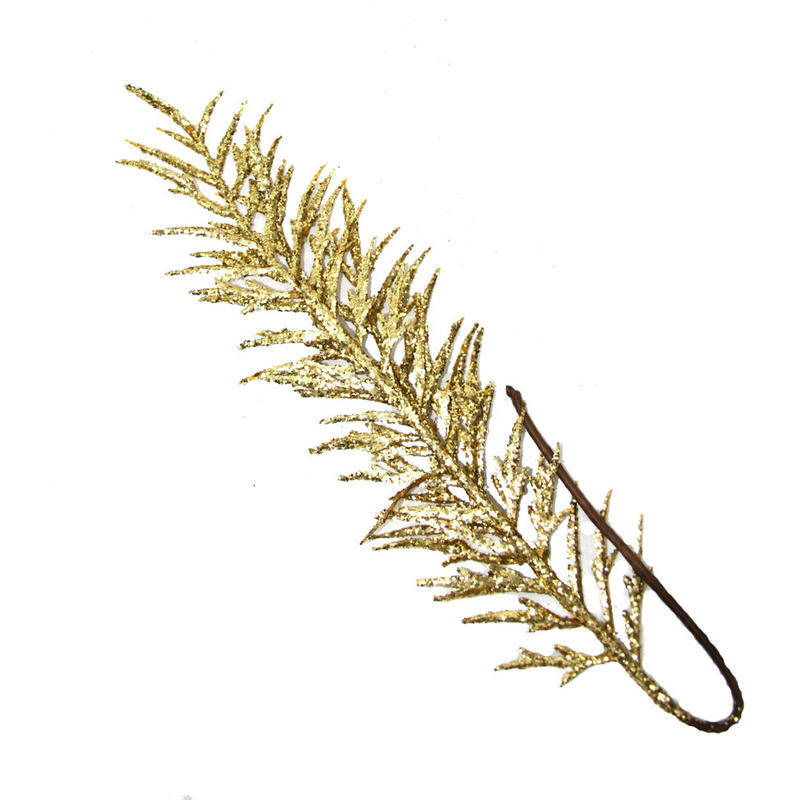 For the easiest and most festive decor this holiday, look no further than this 60cm Gold Glittered Fern Leaf. 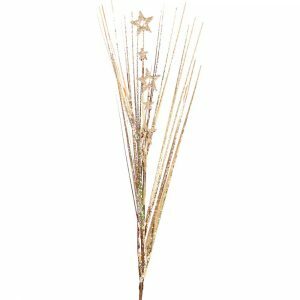 Each of these sparkling branches will bring a bit of festive cheer to your displays affordably, while making the season a bit more bright. The bendable wired stem allows you to shape, form, and secure this branch wherever you want to add a bit of gilded golden glory. 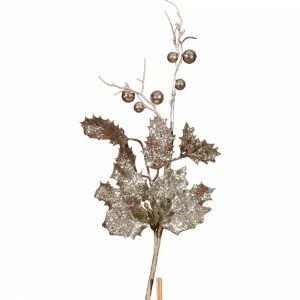 These leaves measure around 15cm wide and at 60cm in length, they easily adapt to any arrangement or centrepiece, large or small. Keep these on hand for parties and entertaining when you want to add some dazzle to simple floral arrangements or tuck them under napkin rings for a special party favour that guests will admire. 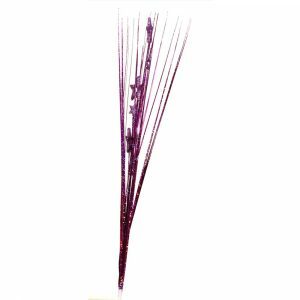 You may even want to consider tucking these under the tie-backs on your window curtains and treatments for a special holiday touch that will give your home a distinct flair.